NEW YORK CITY—Northwell Health is partnering with a subsidiary of the University Financing Foundation Inc. to build a new outpatient center medical complex on a city block on Third Avenue on the Upper East Side. GPG Properties, also known as the Glick Property Group, has sold a parcel that includes the blockfront on Third Avenue between East 76th Street and East 77th Street on the Upper East Side to 3rd Avenue Blockfront LLC —the subsidiary of The University Financing Foundation, Inc.—in a deal valued at $232.2 million. The property acquisition and transaction structuring with TUFF was arranged by Blue Sky Real Estate Services and Development. GPG Properties is the capital focused affiliate of Mautner-Glick Corp. The properties in the parcel that changed hands include: 201- 203 East 76th St. (1329-1337 Third Avenue), 1339 Third Ave., 1345 Third Ave., 200 East 77th St., and 202 East 77th St. The parcel features six separate vacant buildings with a mixture of retail and residential uses. TUFF and Northwell Health, the state’s largest health care provider and private employer, are expected to develop a new outpatient care center, ambulatory surgery center, outpatient cancer center and medical offices on the site. Northwell Health partnered with Lenox Hill Hospital and Manhattan Eye, Ear, and Throat Hospital in 2010, and since then has helped tens of thousands of New Yorkers in the neighborhood, hospital officials state. “We are deeply invested in the Upper East Side and look forward to the potential to provide additional services in the neighborhood and surrounding communities,” says Michael Dowling, president and CEO of Northwell Health. The property is currently zoned to allow for a maximum of 278,149 square feet of commercial space, including 258,493 square feet above grade. 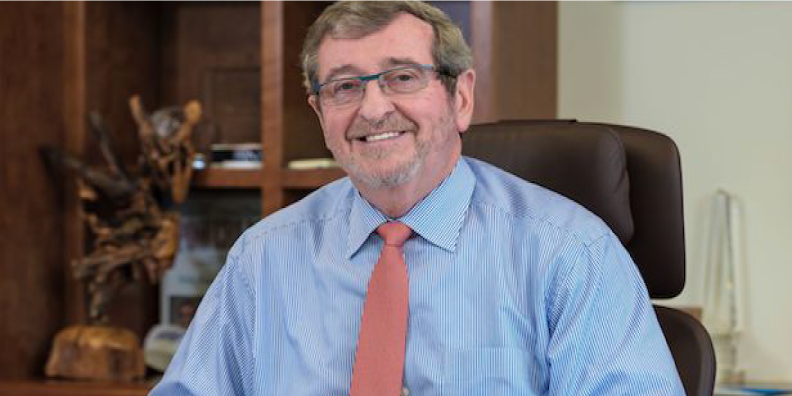 Northwell Health spokesman Terry Lynam tells Globest.comthat a business plan is currently being developed so the exact scope of the project and the development cost have yet to be determined. The first stage of the development process will be asbestos removal and afterwards demolition of the existing buildings at the site. Lynam estimated the asbestos removal and demolition will take a year to complete. Northwell Health expects construction would begin on the outpatient center at the earliest by 2020. Northwell Health will either lease the property or enter into a lease with option to buy, he notes. Glick Property officials note that former residents either relocated to other Mautner-Glick Corp. managed properties or moved as their leases expired. Of the former retail tenants, Housing Works and McCabe’s Wines & Spirits have both already relocated and re-opened within the neighborhood. “The product of the sale will be the transformation of a group of two- and four-story mixed-use buildings into a project that will bring tremendous benefit to this community,” says Jason Glick, co-managing partner, GPG Properties. In May, Northwell Health paid $36 million for the former Astoria Bank headquarters, a 103,000-square-foot office building in Lake Success, NY. The property was sold by Sterling Bancorp., which acquired Astoria Bank in 2017.